Indie Retro News: Wolf3D - A SuperCPU release of Wolfenstein 3D on the C64/128! Wolf3D - A SuperCPU release of Wolfenstein 3D on the C64/128! In 1992 many of us had the pleasure of playing id Software's incredible first person shooter ' Wolfenstein 3D ' for MS-DOS. 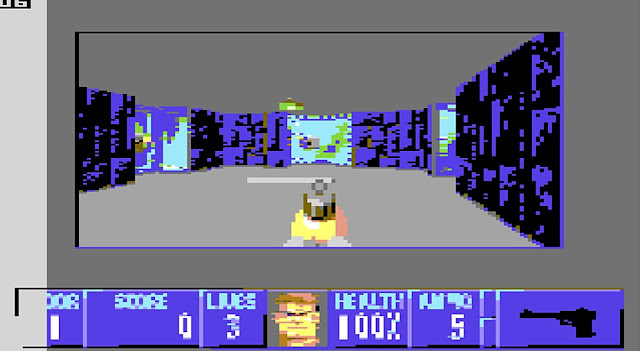 It was the second major release after Commander Keen and featured a unique 3D game engine with multiple enemy types such as Nazi soldiers and dogs, and multiple weapon types to defend yourself with such as guns and knifes. 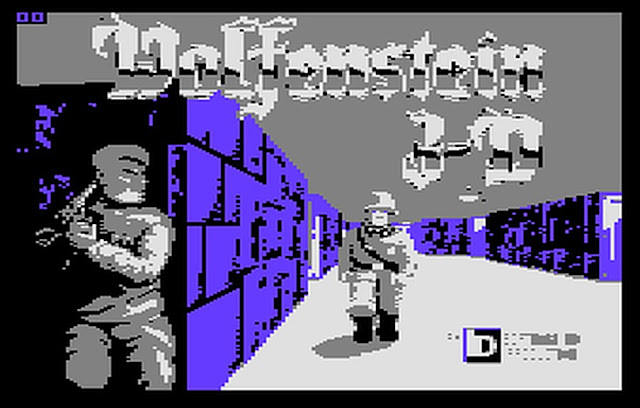 It is a game that is still loved to this day and it's why it came as a shocking surprise to us, to see a port of Wolfenstein 3D (based on the original ID software source code release) has been made available on the C64/128 - Requiring a SuperCPU v2 and 16MB RAM. Although I have not been able to get this port to work on WinVice 2.4 or even the latest 3.0, including set up to work with SuperCPU games, this version does work on real hardware as mentioned by the team behind this release. Also as noted by the readme file the sources has been modified to allow building for 32bit targets like the MIPS CPU, and then recompiled to 65816 code using my MIPS recompiler, with some parts rewritten in 65816 assembler for better performance.